Brooklyn in the 21st century is synonymous with hipsters and upwardly climbing professionals, with some journalists, writers, and other art types thrown into the mix. 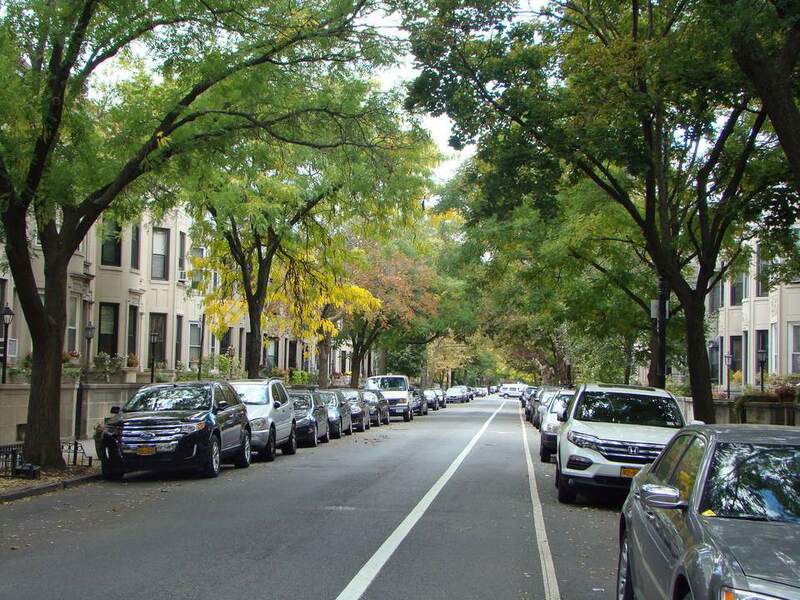 Its leafy streets and views of the sky are a pastoral relief and counterpoint to high-rise Manhattan. But its past is one of immigrants and the working class. For many years, much of South Brooklyn belonged to the Irish and the Italians. Brooklyn once upon a time had a sizable Irish population and a long history of influential Irish politicians. And the Irish had a palpable influence on the borough from the time they immigrated to the United States during the Great Hunger in Ireland, aka the Irish Potato Famine, in the 1840s. The movie "Brooklyn," released in 2016, shines a light on Brooklyn of the mid-20th century​ when the Irish still had strong neighborhood cohesion. The two neighborhoods in Brooklyn that still reflect the borough's Irish origins are Bay Ridge and the combined areas of Park Slope and Windsor Terrace. Brooklyn's "Little Ireland," such as it is, is most visible along Bay Ridge's Third Avenue. Many Irish pubs, some old timers, but mostly new establishments, can be found on a stretch of Third Avenue between about 84th and 95th streets. You'll also find Irish specialty import shops, Irish newspapers, and a local St. Patrick's Day parade in full regalia that begins and ends in Bay Ridge. In the two adjacent neighborhoods of Windsor Terrace and Park Slope, several old-time Irish bars, notably the picturesque Farrell's (which only closes for significant deaths), still hark back to the early 20th century in mood and decor. For better or worse, a number of old Irish bars, such as Snooky's on Seventh Avenue, are long gone. Windsor Terrace was settled by Irish Catholics, and a centerpiece of this once-blue-collar neighborhood is Bishop Ford High School. Park Slope continues to have sufficient Irish energy to celebrate its long-standing local Park Slope St. Patrick's Day parade through the neighborhood, complete with kilt-wearing bagpipe players. Not one of these three areas—Bay Ridge, Windsor Terrace, or Park Slope—is a homogeneously Irish neighborhood anymore. Once extremely Irish, Bay Ridge is now a polyglot area with a sizable immigrant population that's more likely to visit a mosque or halal food store on Friday than down a Guinness. And gentrification has diluted what's visibly Irish about most of South Brooklyn, including Park Slope and Windsor Terrace. Still, many older Americans of Irish heritage live in these neighborhoods, as do some prominent local politicians of Irish ancestry. If you're looking for a "touch o' the Irish" in Brooklyn, Bay Ridge, and to a lesser extent, Windsor Terrace and Park Slope are where you are most likely to find it. A few outstanding Irish pubs scattered throughout the borough give you a satisfying taste of Brooklyn's Irish heritage (and plenty of Jameson's, Bushmills, and Guinness) to warm the cockles of your heart.